The PS-101 Sportsman "550" Big Block GP20 Motor. Bolt in performance increase over your S16D motors without the loss of consistency. 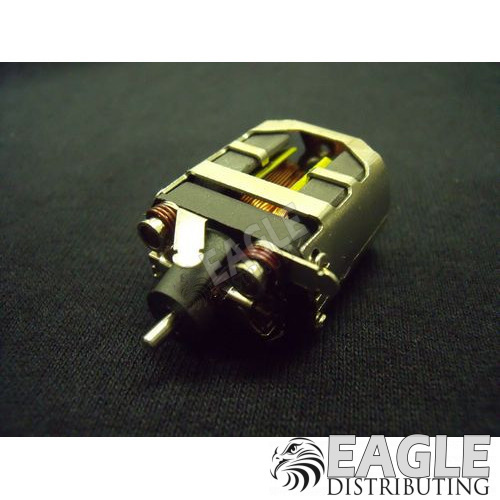 Based on our proven SpeedFX D-can setup, this motor features the next generation .550 diameter GP20 armature. Designed for a "soft" launch in near „no glue‟ bracket racing track conditions and still pull over 90,000+ rpm for outstanding topend performance. This motor comes fully blueprinted with Goldust brushes. Dyno Proven* – Racer Tested!